From jazz festivals to cutting edge theatre and from folk sessions to studio art treks, there are events and festivals for every taste, on and off the Peninsula. Whether you want to browse a farmers' market, catch the latest film or hear live music you can explore the listings links to the right or the events highlights below. Find all the best events, festivals & things to see and do in North Devon and the Hartland Peninsula during 2019. February, Lentsherd, Clovelly. Free entry after 4.30 p.m.
Come and enjoy our beautiful historic daffodils, spring shrubs, bulbs and wildflower walks to the beach. Visitors are advised to bring wellies! Daffodil Day is a lovely chance to come with the family or friends to see the wonderful collection of historic daffodils, many planted over 150 years ago. Our spring flower days are really good fun for everyone, including children and dogs. Visitors will be able to see daffodils, camellias, hellebores, early spring bulbs, mimosas and our lovely wild primroses and violets. There is plenty of excellent walking to the beach and to Blackpool Mill. Along stunning woodland paths through wild flowers to the Gazebo and the restored Woodland Summer House, with its welcoming log fire. A new circular walk has proved very popular since it opened in 2012. The Abbey itself will be open between 1 –4 pm at a small extra charge. Dogs are really welcome on leads but there will be plenty of space to let them run free as well. The Orchard, normally closed, will be open with its beautiful wild daffodils. The Old Kitchen Tea room will have a selection of delicious traditional and modern cakes and biscuits and some gluten free too! 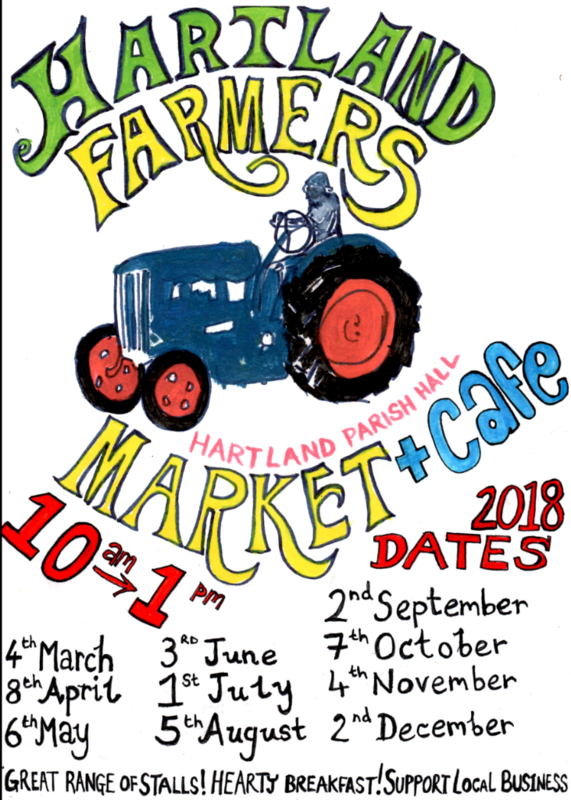 There will be homemade soup, cheesy scones, pies, pasties, hand made sausage rolls, Pulled Pork and Coleslaw baguettes, Veggie Homity pie plus a selection of sandwiches, baguettes and other tasty snacks. March to April, Find the Easter Chicks, Clovelly. more. We love children and dogs and hope that you will bring as many as possible! opportunity for walking and exploring the 3½ miles of paths within the Abbey grounds. Children receive a village map on entry on which to mark the location and number of Easter chicks perched up and down the tumbling cottages along the High Street to the Quay. Return the map to the Visitor Centre reception if you spot at least 10 chicks to win an Easter egg and a bigger prize if you spot all 15. N.B. We are open on Good Friday (closed Saturday) but no Egg Hunts until Easter Sunday & Monday! so late that it should coincide with the best of our beautiful bluebells! Children will have a wonderful time searching all the woodland paths and walks for clues that will lead them to a hidden treasure trove of Easter Eggs. There will be traditional activities and games like Pin the Tail on the Bunny and Easter egg decorating. children alike. The house will be open from 2-5pm at an extra charge. Dogs are very welcome provided they don’t eat the Easter eggs first! Adults £9 for grounds and gardens, all children over 2 (or under 2 if wanting to do Easter Egg Hunt) £5. Admission to house and gardens £12, children £5. It was launched in 2015 and has been a great success. Seaweed Festival is held to promote seaweed for its immense health and nutritional benefits. Quay kitchens will be serving a variety of dishes. Stalls will be selling a range of seaweed products and arts and crafts. Plus live music, street entertainment, craft activities, workshops, talks and demonstrations. Bring your own seaweed for advice from experts on its uses. Charles Kingsley, the great Victorian writer (b. 12th June 1819), who loved Clovelly. He lived here as a child, returned many times during his later life and was said to be inspired to write ‘The Water Babies’. Come and enjoy the celebration with a host of activities, talks, workshops, exhibitions plus live themed music and themed street entertainment for adults and children. The Clovelly Gardening Group, 2018 Gold award winners of National and SW in Bloom, will celebrate Charles Kingsley with plants and colour schemes for ‘The Water Babies’. Plus his other inspirations, especially as regards Clovelly. There will also be colourful displays of ‘yarn bombing’ with decorative knitted or crocheted material as a form of street art. Made and sent by people who love Clovelly from all over the world. Open-Air Theatre "Jane Eyre" by Charlotte Bronte, (Hotbuckle) 7pm at Hartland Abbey. Ticket prices £13/£10. Open-Air Theatre "Ali Baba and the forty thieves" (Illyria) 5pm at Hartland Abbey. Ticket prices £13/£10. PLUS drama workshop (6-11 years) 3-4.30pm with Sophie and Gabby £5. Open-Air Theatre "The legend of King Arthur" (Box tree productions) 5pm at Hartland Abbey. Ticket prices £13/£10. PLUS drama workshop (6-11 years) with Sophie and Gabby £5. Lifeboat Weekend & Maritime Festival join forces this year for a thrilling family fun-filled weekend. On the Saturday, you can watch the thrilling Clovelly Cup yacht race and a 2 mile sponsored swim from Bucks Mills to Clovelly. And on Saturday and Sunday, there will be stalls selling delicious food and BBQs, with much entertainment for all, including live music, stilt entertainers, event-themed arts & crafts, story-telling, children’s activities, Punch & Judy, face painting, competitions and lifeboat operational displays. Open-Air Theatre "Gangster Granny" by David Walliam (Heartbreak productions) 5pm at Hartland Abbey. Ticket prices £13/£10. Open-Air Theatre "Much ado about nothing" by William Shakespeare (The Festival Players) 7pm at Hartland Abbey. Ticket prices £13/£10. Open-Air Theatre "Frankenstein" (Illyria) 7pm at Hartland Abbey. Ticket prices £13/£10. Gig racing is exciting and strenuous, with crews reaching speeds of nine knots in North Devon's powerful tidal waters. You are assured an exhilarating day's racing. So come along and cheer on the brave crews! Normal admission charges apply, please consult www.clovelly.co.uk for details. Clovelly - Lobster and Crab Feast 10th Anniversary! In aid of the National Lobster Hatchery, who will be exhibiting baby lobsters before releasing them into the sea at the beginning and end of the day. Consequently they are best known for their lobster stock enhancement programme. They rear baby lobsters from eggs, the most vulnerable stage of their life cycle, before releasing them back into the sea. As an example, they released 53,000 juveniles into the wild in 2014 and hope to increase the numbers over the next few years. Adopting a Lobster for just £4 helps pay for baby lobsters to be raised and released. Live folk music, quay kitchens, cookery demonstrations, a magnum of champagne prize draw, delicious lobster and crab dishes, craft stalls and beer tasting. Plus street theatre, walkabout magic, balloon modelling and ArtyCrafts craft activities. Again this year, our Head Gardener, will offer a garden tour at 14:30. Clovelly - Christmas Lights in aid of the R.N.L.I. Christmas lights in the village makes this such a magical time at Clovelly. It starts at 3:30 pm in the afternoon. A local brass band leads the procession down to the harbour with festive Christmas carols sung along the way. There’ll be a hog roast, hot dogs, Christmas grog and other refreshments available at the Harbour and Lifeboat Station and Father Christmas will make a surprise visit. After the Carol Service lead by a local vicar and sung by a local choir, the switch is thrown and the entire village and harbour lights up. It’s a fantastic sight! Then there is a grand finale of fireworks to finish off the festivities. For those in the mood for a light snack or dinner, the Red Lion bar and restaurant are open as is the the Up-along bar at the New Inn. Entrance fee: £5 per car at the Visitor Centre after 3 pm. All proceeds to RNLI. New Year’s Eve Fancy Dress Party is fast becoming one of the most popular events in Clovelly’s calendar. Dressing up is always great fun. Becoming a pirate or something similar for the night helps the party go with a bang! Come and help us celebrate our historical links with these rogues. Consequently lots happen throughout evening including wonderful food and plenty of grog to choose from. There is also a pirate disco running throughout the evening. And fires and gunpowder are set off to illuminate the quay and celebrate another year’s passing. It’s a thrilling way to welcome the New Year within the unique atmospheric of our village setting. Tell your friends and book, as tickets go very quickly. Stay in either of Clovelly’s inns or B&Bs. The Red Lion lies at the harbour and the New Inn at the heart of the village. A delicious dinner is served at the Red Lion Harbour Restaurant and a good standard English pub dinner at the New Inn Up-a-long Bar. For the latest theatre and cinema listings, and events guides in the North Devon, click below.